Time for another release update on EAComposer.com! We just released version 2.0 which was focused around enhancing the subscription models and the user management functionality as we received several requests for these items. Our development team has done an excellent job getting this next release out so soon after the last one (less than 2 weeks since our 1.9 release). 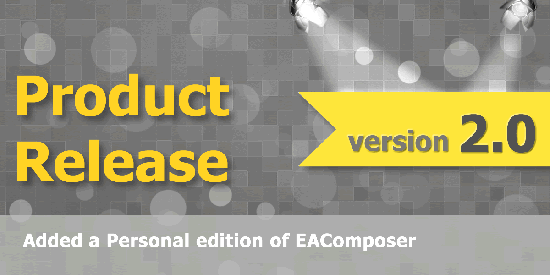 - We updated & expanded the EAComposer subscription editions based on feedback we received. With this we added a Personal edition subscription which will give you a single content Author account and unlimited Viewer (read-only) accounts. We further enhanced the User Management section to allow for unlimited Viewer accounts across all subscription editions. - We extended the trial-period to 4 weeks again based on feedback we received. We already started work on our next release which will be focused around Collaboration & Getting Started improvements. We expect this to be ready early February.